Among all the cruel practices that involve animals suffering for people’s “needs” or, rather, non-essential desires, you may not know about one that involves sheep undergoing a removal of parts of their skin in order to prevent the so-called “flystrike”, a parasitic infection. 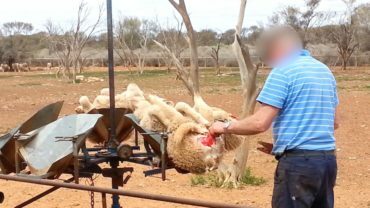 Yet, a vast majority of people uses wool on a daily basis, probably not even knowing that most of it comes from Australia, where this barbaric practice is considered normal and is allowed by law. The procedure called mulesing mainly involves Merino sheep, a breed largely present in Australia, that has a particularly wrinkled skin, meaning more wool per sheep. 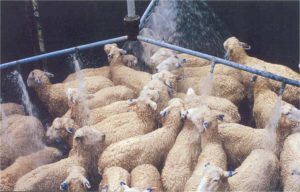 Not only do these animals often suffer from an excess of wool, and some even die of heat exhaustion during hot periods, but it also means that their wool collects more moisture when they urinate. Moisture being an attraction for flies, they lay eggs on the sheep’s skin that can later eat the animal alive. Most ranchers see mulesing as a universal and cost-effective solution to this problem. The procedure is considered a highly surgical task that involves cutting off part of the skin and wool from the sheep’s backsides while the animal is forced onto its back, its legs being restrained between metal bars. What it aims to achieve is the prevention of flystrike, but it only affects the area where skin has been cut out and it has no effect on the rest of the animal’s body. Moreover, the procedure is known to be extremely painful for the animal, which still does not stop the ranchers from switching to more humane methods of infection prevention nor does it make them use any kind of painkillers or anesthesia in most cases. This system, where sheep are used purely to generate money, a system where people completely ignore the fact that they are sentient beings, has been criticized for years and many more humane options have been proposed ever since. 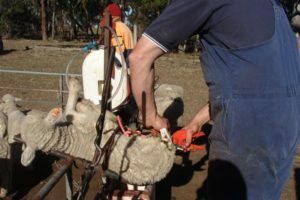 Alternative methods to mulesing vary from primitive ones to more advanced and new ones and the fact that they are more expensive proved to be false. 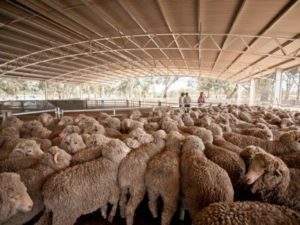 The first method consists in breeding programs, selecting more plain-bodied sheep in order to make them more resistant to flystrike and get a breed that would better fit in the Australian climate. Even studies from almost a century ago showed that more plain-bodied sheep were much less susceptible to infections than the wrinkly-skinned ones. There are multiple non-surgical alternatives as well, such as insecticides that are now available in large quantities and varieties. Moreover, it is a matter of fact that having dip applied across the animal’s body is much more effective and practical than cutting a small part off the animal’s skin. 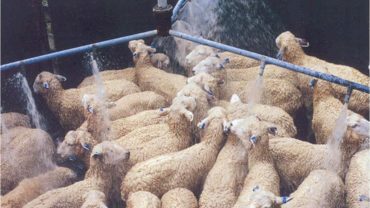 Other solutions include diet regulation, spray washing, and all of these have proved to be more cost-effective for the sheep, in addition to not being a barbaric and painful practice. As people are more and more attentive and aware of the terrible suffering that sheep have to go through for a brand new scarf or a soft sweater, many companies and even countries have implemented an outright ban on mulesing by not using lambs who have been mulesed for wool production. These companies include mass-market giant H&M, major sporting goods house Adidas, important players of the fashion scene like HUGO BOSS and Abercrombie & Fitch Co., and many others like Perry Ellis, New Look, John Lewis, etc. In addition, Sweden banned the purchase of all wool from sheep that have been mulesed after a TV programme aired on Swedish channels. 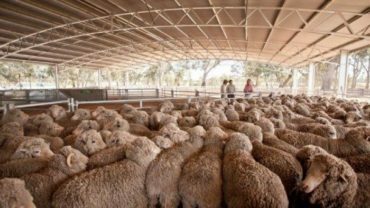 The intervention has seen a large response from the public and all manufacturers and retailers in the country implemented a ban on wool from mulesed sheep. Other European retailers, who have not been named, decided to lift their ban on mulesing if pain relief is used. One of the biggest achievements made up until now is definitely the very recent ban that has been accepted in New Zealand. Anyone who will illegally practice mulesing will be charged with a criminal offense and fined a $5000 penalty for an individual offender or $25000 for a business. The ban is extremely important for the entire world community, marking a milestone in the global fight against mulesing, since it is legally effective. Moreover, seeing such change in a country that is one of the biggest wool exporters worldwide will definitely have a very important impact and set a powerful example to all other countries, like Australia, who continue to practice this inhumane procedure on sheep. 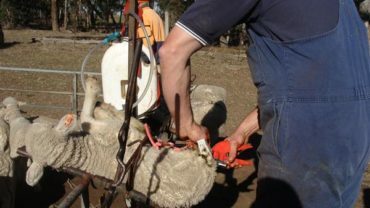 OIPA strongly condemns any mulesing practice, with or without painkillers, being a terribly barbaric procedure that implies a general inhumane treatment of sheep in husbandry. Castration by banding, inadequate blades that hurt the animal and many lambs that die of excessive cold or heat since seasons are dictated by the industry and not by nature: this is the reality that sheep have to live in everyday, mulesing being just the most shocking example of a general trend based on cruelty and indifference. Mulesing is yet another staircase leading to a larger problem called animal abuse, not only as a physical mistreatment, but also emotional and psychological, since sheep are sentient beings, capable of suffering and feeling pain and stress. We invite all countries and retailers worldwide to follow the examples of Sweden and New Zealand and adopt legal measures to stop allowing such unnecessary cruelty on creatures, who most definitely do not deserve it. Such ambitious results can only be achieved if all of us at least start paying attention to where our woolen clothes come from, and an even better and definitely most effective solution would be to stop buying wool in general. We strongly believe in the possibility of a mulesing-free world, a non-indifferent world that has already began its path towards a cruelty-free clothing industry conducted by powerful leaders. 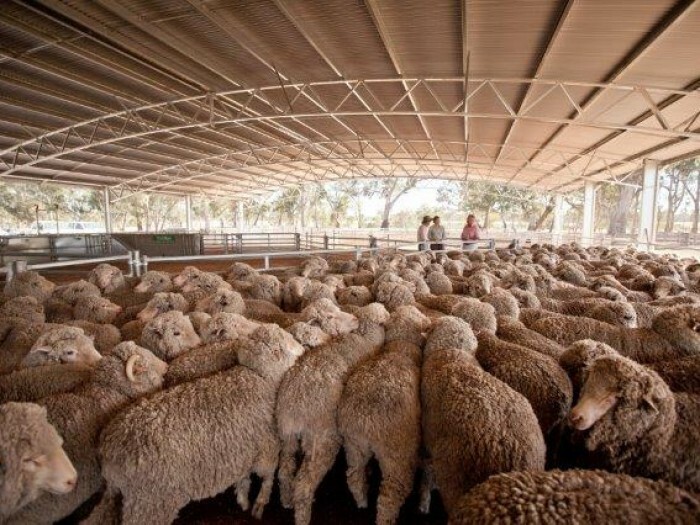 As former Australian Wool Innovation board member, Chick Olsson commented on New Zealand’s initiative in a press release “They have clearly identified consumers’ preferences and they have legislated to match those preferences”. OIPA genuinely hopes to see other countries follow this initiative and show a cruelty-free, humane attitude towards all living beings, key to a sustainable future.